overconsumption / population growth / dwindling resources / climate change / disease / contamination / storms / thirst / war ... will the struggle to simply stay alive become humanity's future rather than its past? What happens when vast population growth endangers the world's food supplies? Or our water? Our energy needs, climate, or environment? Or the planet's biodiversity? What happens if these all become critical at once? Just what is our future? 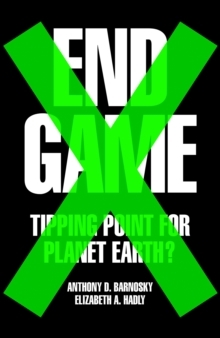 In `End Game', world-renowned scientists Anthony Barnosky and Elizabeth Hadly explain the growing threats to humanity as the planet edges towards a resource war for remaining space, food, oil and water. And as they show, these wars are not the nightmares of a dystopian future but are already happening today. They explore the origins of Ebola in densely populated areas of south-eastern Guinea, witness raging fires in Yellowstone and Colorado and explain how drought-induced food shortages are already causing problems in the Sudan, Gaza Strip and Iraq. Finally, they ask: at what point will inaction become the break-up of the intricate workings of the global society? 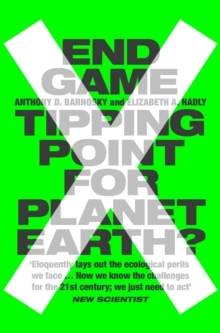 The planet is in danger now, but the solutions, as Barnosky and Hadly show, are still available. We still have the chance to avoid the tipping point and to make the future better. But this window of opportunity is closing fast and will shut within ten-to-twenty years. `End Game' is the call we need.